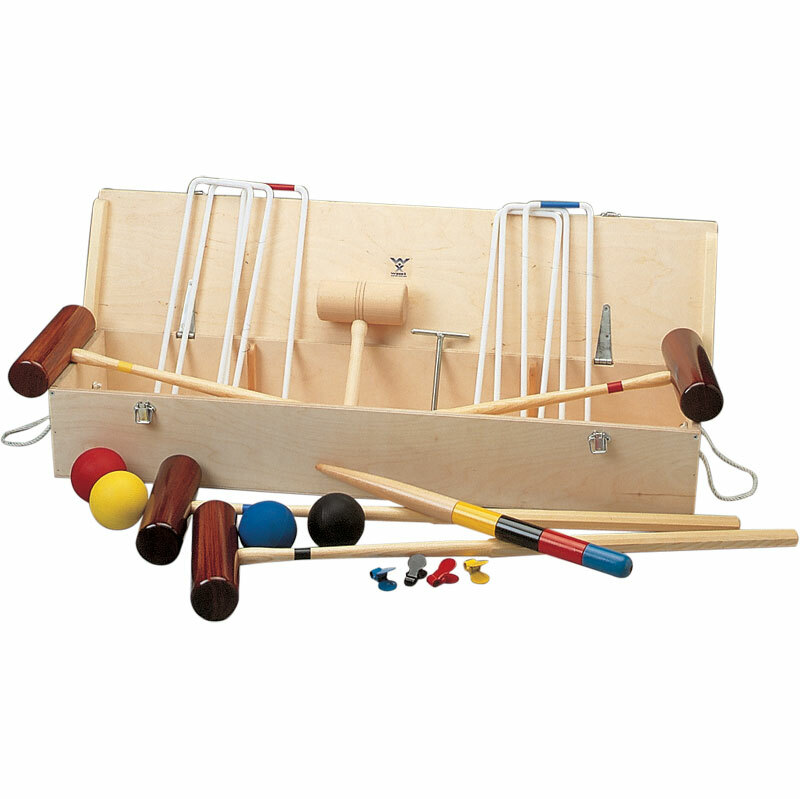 Classic Croquet Set complete with everything that you need to enjoy this very popular traditional English summer game. 6 x hoops per set. 1 x deluxe prime coloured winning peg. 4 x corner flags in prime colours. 8 x 1 yard markers. 4 x prime colour identification clips. 1 x Ash lacquered smasher. 1 x set of rules. 18 x 3/8" white powder coated steel hoops. 37" long ash turned mallets with coloured grip, 9" x 3" diameter head. Balls - 4 x 3 5/8" diameter weighing 12oz in prime colours. The set comes complete in a stained rope handled wooden box.